You are here: Virgin Islands News Online » News » JVD residents reiterate call for own representative! JVD residents reiterate call for own representative! GREAT HARBOUR, Jost Van Dyke, VI- Residents of Jost Van Dyke believe the time is now for the island to be made into a district in order for it to have its own representative since they feel the current district representation system is 'short-changing' them. Virgin Islands News Online spoke to a number of residents who were highly in favour of the idea since they claimed the 2nd District Representative Hon. J Alvin Christopher was not effectively representing their interest and was hardly visible on the island. Popular businessman Gerald Chinnery told this news site that for a long time now residents have been stating that Jost Van Dyke needs its own representative. "This is not something new and a lot of people are in support of that and it went through to the Government, it is just that the Government didn’t make it happen. It is for them now to make it happen." According to Meshach George, the idea of JVD having its own representative is a very good one "because right now we ain’t getting nothing. We aint getting no kind of service from the politicians over in Tortola. Every time we ask them about work they saying they don’t have any money but every way you go in Tortola you see the young men them doing work. Then they complain that the young men on the block only smoking but then they are not providing any work for the young men them." A similar view was expressed by Daniel George, who said residents feel abandoned by their representative. He also claimed that contractors executing works on the island are hiring persons from outside of the island and even bush cutting work is being given to outsiders. "Maybe we too far North," he exclaimed. “We don’t have a representative,” was the very direct comment of Mr Anthony Chinnery. Wendell Callwood aka ‘Uncle Wendell’ was also in full support of JVD become a districy by itself. "That is what I have been teaching for all these years. We need our own rep. I born and raised here and I can't see someone else here representing me who is not from here. Virgin Gorda and Tortola have their own representative and I can't see why we can't have our own too. 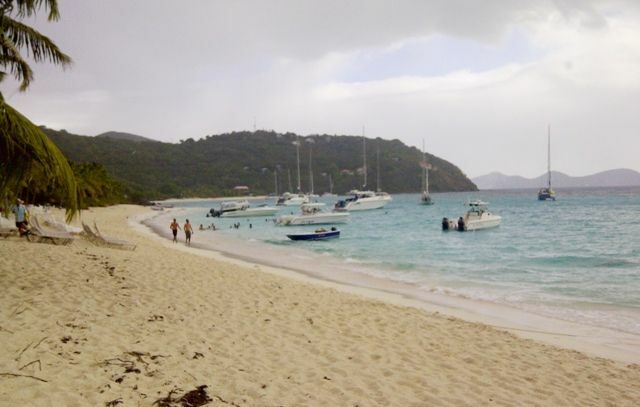 When you drive around Jost Van Dyke you see a lot of unfinished projects and a lot of things not done. They neglect us and we don't have no one to turn to but I think if we had our own representative here on the island it would be a lot better because they going to see the problem, feel the problem and a lot of things would be done." Virgin Islands News Online also spoke to popular resident and musician Mr Reuben Chinnery, who also believe that a representative specifically for Jost Van Dyke would mean better representation for the people. He also explained that the At Large system was reportedly implemented by the United Kingdom to oust the late Chief Minister H. Lavity Stoutt from power. "And so Jost Van Dyke really has four representatives." Mr Chinnery also claimed that the 2nd District Representative Hon. Christopher hardly ever visits the island to speak to the residents, except when there is a funeral. "How often you see him? At some funeral you might seem him but he dosen't come here. That is why a lot of people didn't vote for him. I went to the poll to vote and I didn't vote for him, I could tell you that, he is not doing a good job as representative. The amount of things that are allowed to happen here shouldn't be." "These guys run this thing like if it is their own office. They have to understand that they are servants of the people," Mr Chinnery added. Rajah Smith, who grew up on JVD said one of the reasons he is adamant that JVD needs it’s own representative is that "my grandfather came to Tortola to see the representative and was told to check at the Complex but he was not there. Then he said to check him at the LEGCO building but he was not there. Then he said check him by Maria’s. We went there and he was still not there. He turned around and call now and said that when he comes to Jost Van Dyke he will come and see my grandfather. About a year after he came but by that time my grandfather was dead in a box. I don’t feel that my mother or anybody else should have to suffer that same fate. It was not that my grandfather wanted money or anything but was advocating for certain services to be accessible on the island," Mr Smith stated. Isaiah Chinnery was strongly in support of the idea of a representative specifically for JVD and said it was time that the people of JVD be given the respect they deserved. "Once you have your own representative he will only have her to watch on, he wouldn't have to be looking here and there and everwhere. Number one is we don't get enough attention, we like on the back burner. They fix up every place else and we does make the most money for Government for a small island and how come we can't get anything. From the time I small they bringing a community centre, it can't reach yet, just promises. Them give we a little basketball court over 20 years now and they never look back. They aint even say give us a little light so we have to play high day when the sun up." Meanwhile, taxi drivers Greg Callwood and Claude Callwood felt that Jost Van Dyke was too small to have its own representative and were in praise of the current administration for executing infrastructual works on the island. Earlier, Mr Gerald Chinnery had questioned the effectiveness of the four At Large representatives and felt that each At Large member should have been dedicated to an outer island. "Because you have West End has its own representative, Cane Garden Bay has its own representative and Road Town has its own representative so what are those At Large members doing really. What are they doing right now in the Government?" Chinnery believe the system should be tried over a 3-year period "to know if it could work and whether there would in fact have a need for JVD being made a district by itself...Like [J Alvin] Christopher right now, he wait until four years come for an election to come tell you he can’t get anything done. We don’t ever hear him fighting for us. There are so many things that need to get done here but we not getting the representation," Mr Chinnery stated. Meanwhile, efforts to reach the 2nd District Representative J. Alvin Christopher were unsuccessful up to post time. There is much that I would like to comment on but i will leave it!!! fat head you mean say Lies, I tell you! Lies? 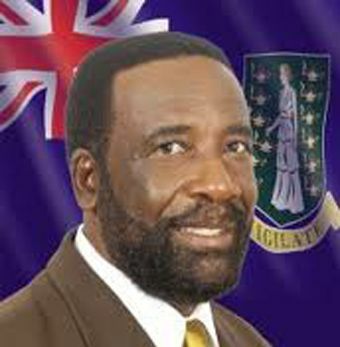 I am in support of the outer islands getting dem own representative as the at large system is a joke! So Government is responsible for providing work for the young men dem? lmao! Now we see what our problem is. we trained our young to depend on govt for everything and now that things tight they dont know how to survive. give a man a fish........................well, you know the rest. Tiz aryo JVD moo-moo vote for he instead of Skelly! while I understand the need for representation, building or maintaining roads, lights- even a community centre, I have to caution about asking government for projects that will put people to work on JVD. People will get a paycheck but at what cost to a small island, community and tourist draw. Development may help but it may also chase those boaters looking for a simple and natural destination unlike any place else in Caribbean. It is a slippery slope and one that needs monitoring. Do you really want complexes and mini-malls all for a job? The nature of an island is small, contained and limited at best. I'm just sayin' be careful what you wish for. How many qualified contractors are there on JVD? How many qualified laborers are there on JVD? So when the Govt starts fixing the problems, yes, the community will benefit from these things but in terms of work, what work will they get? I think these people expect govt. to give them thousands of dollars becuase they're from there. it don't work like that. learn a trade then get in business. i don't know why folks on the outer islands dont take advantage of these things. its not easy for work men and contractors to have to mobilize every minute to travel to outer islands and it costs the property owners and govt more each time that has to happen. it only happens because the skilled labour is not available on the islands yet nobody addressing that. want want gimme gimme. jvd does contribute a lot to our tourism product and should not be forgotten however, these people need to realize that if its jobs they looking theyre future is in their own hands not govt. Follow the bouncing ball. There's relevance to what the people on JVD are saying for the people on Anegada and Virgin Gorda got the same issues. Call me the eternal optimist but I see this as a sign of hope with the people speaking out!!! !